As the title suggests, this piece is Spanish in style. 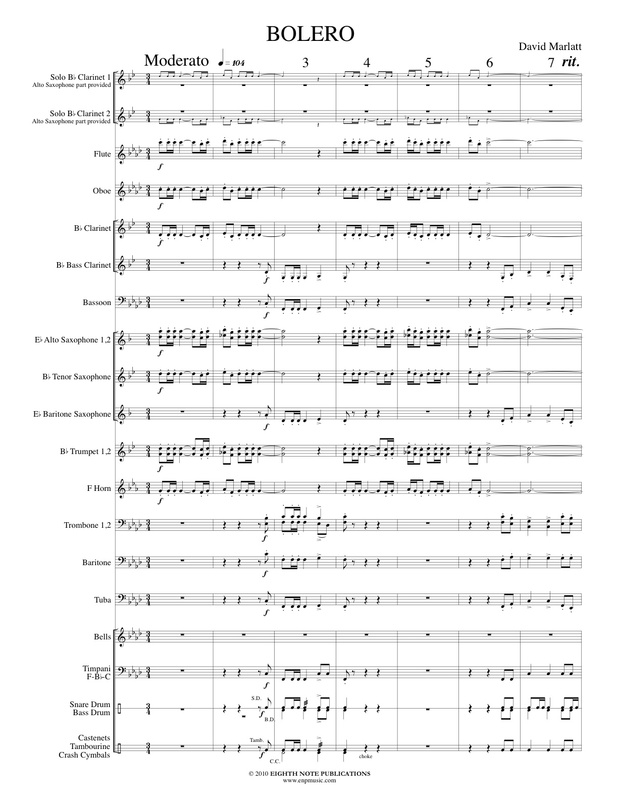 After opening with a short fanfare, the melody is then passed equally between two solo clarinets (alto saxophone parts also provided) with the other voices adding rhythmic chords and countermelodies. Fun and energetic, this is a great piece to add some international color to a concert or special event.